Foldforming is not really a new technique used in jewellery fabrication but it was re-introduced in a more modern context by Charles Lewton-Brain in the mid 80ies. 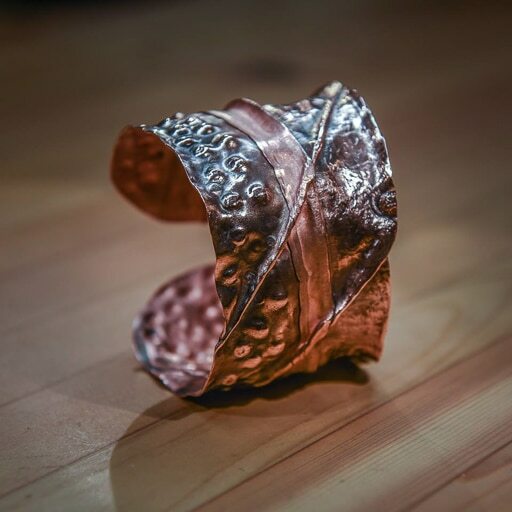 Foldforming focuses on using the inherent characteristics of copper and elastic malleability to quickly transform a flat metal sheet into a stunning 3D bracelet object to wear. 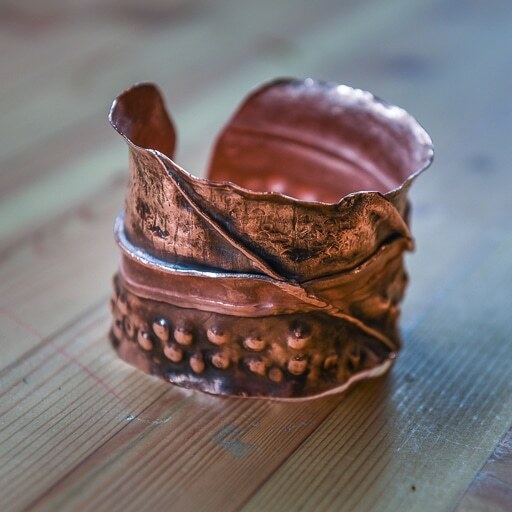 Copper itself has also healing properties said to benefit joint stiffness and pain related to arthritis. 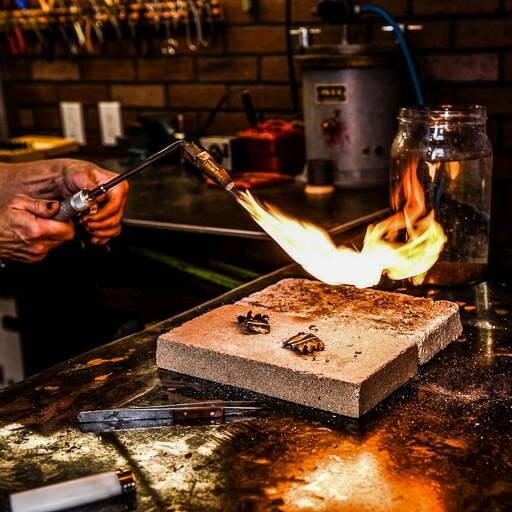 You will learn how to apply different basics fold and manipulate them with various different hammers tools and textures that will result in a stunning one-of-a-kind bracelet to wear. We will explore different ways of finishing your bracelet that will add colour and depth to your finished piece.